We Tallied the Votes and the Results Are in! 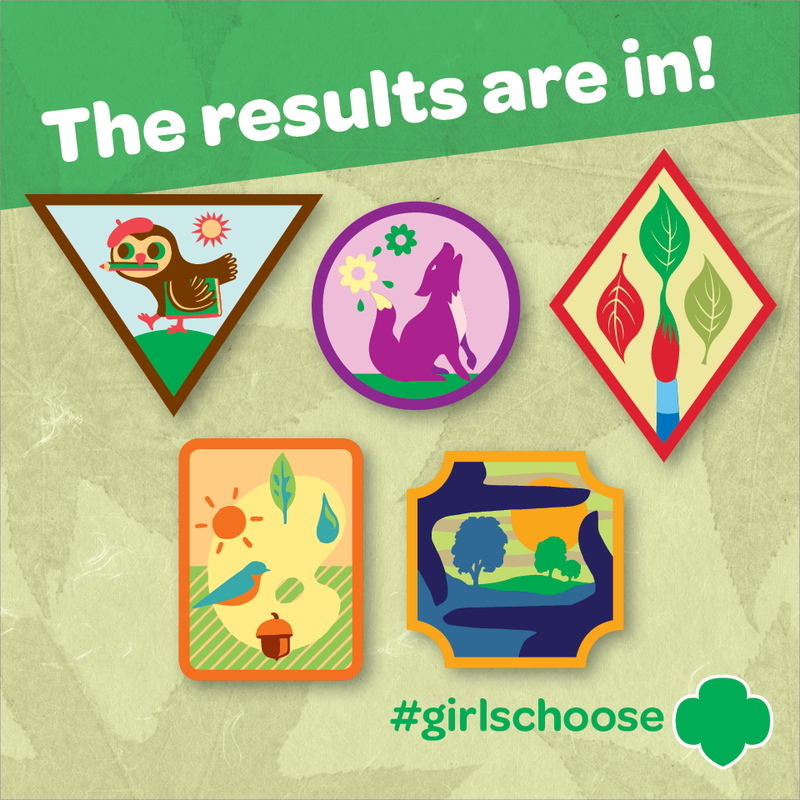 We’re excited to announce the winners of the Girls’ Choice Art in the Outdoors badge design poll! Girls were given the choice of two badge designs for their Girl Scout level, and asked to pick their favorite. More than 12,500 girl votes were cast—and the winning badge designs are here. Did your favorite come out on top? Now’s the time to start taking notice of that crisp blue sky or the abstract sculptures in your local park, and get ready to create some amazing art in the outdoors. Badge requirements will be available for download May 30, 2016, and in council shops by the summer!